Kiev-Pechersk Lavra is one of the most important places in Kiev. It entered lists of the organization in 1990. It is one the first monasteries of Kievan Rus that dates back to 11th century. Yaroslav the Wise is believed to be the founder. Walking among the territory of Lavra, one always feels holiness accumulated over the ages. And regardless of religious beliefs every person feels an inflow of power and grace here: a devoted Christian as well as a convinced atheist. “Enter a room where there’s just been a fight and the one where there’s just been a prayer. Feel the difference”, great director David Lynch said for a reason. In my opinion, this object being added to UNESCO list is a tribute to human thought. Or, more precisely, to the power of thought of a Russian astronomer Friedrich Struve. Long before computers, this scientist managed to calculate parameters of the Earth. He had to elaborate a network of 265 triangulation points each of them made as a stone cube laid in the ground. The arc itself connects a chain of European countries: it has its start in Norway, then travels further through Finland, Estonia and Belarus to end in Ukraine. Today in Baranovka village in Khmelnitsky administrative region just about in the middle of the field there is a memorial board. In 2005 this object was included into UNESCO list. Unfortunately, it is impossible to admire some sort of exotic beauty, but the scale of human brainwork is impressive indeed! It is no accident that this pearl of natural heritage has been in UNESCO list for six years already. Forests of the Carpathians are absolutely invaluable storage of beech and other wildlife species. Sure enough, we all remember the expression since childhood: “Trees are planet’s lungs”. Indeed, there is no saying about beeches otherwise. Territory of Ukraine constitutes in fact one tenth of the whole territory of similar reserves. And you can only imagine how beautiful it is over there. I once happened to have a walk around the site. Images of Ukrainian masterpiece “Shadows of Forgotten Ancestors” by the great Paradjanov kept coming to my mind. In every wind blow one can sense some sort of melody and feel oneself in private with nature. Residence of Bukovinian and Dalmaian Metropolitans is situated in Chernovtsy. Architectural ensemble was built in the place of an old bishop’s house in 19th century. 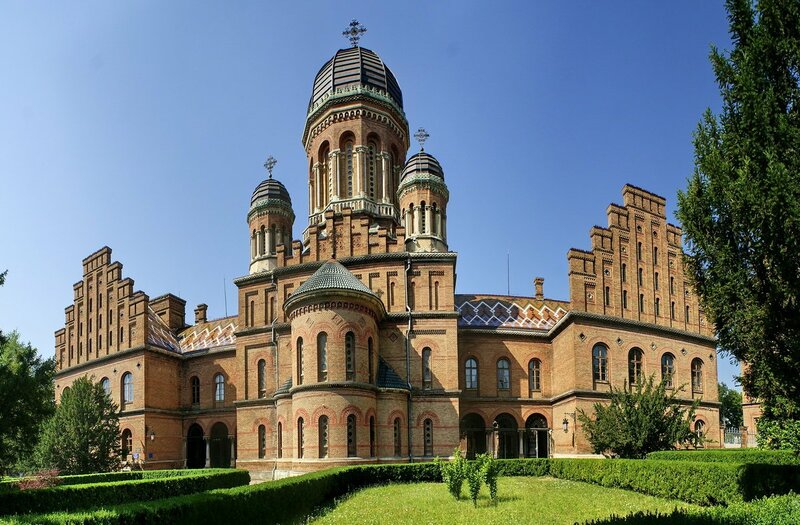 Nowadays Chernovtsy Yuriy Fedkovych University is settled there, it is one of the best education institutions of the country. Interestingly, one can see this monument of architecture in various movies and music videos. In the depth of Lvov region there are many ancient cities, one of them is called Sambor. Hard to believe, but it is there where one of the major European holy places is situated, it is the Nativity of the Holy Mother of God Church. There are few temples of the kind on the whole continent, and they are valued and preserved. What makes this one different, you might ask? 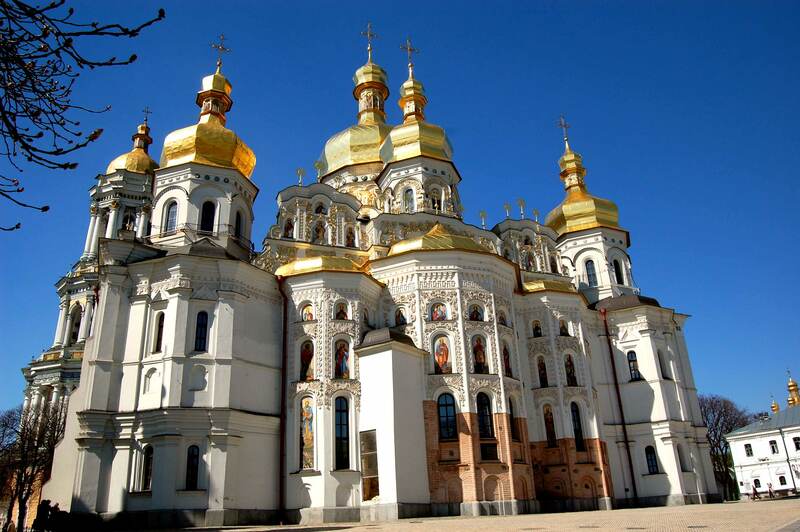 Ukrainian holy shrine entered World Heritage list of UNESCO in 2013. Besides, relics of Saint Valentine, patron of lovers, are kept there. They had been previously resting on the Saint Priscilla cemetery in Rome until in 1759 passed by Vatikan to Sambor. Apropos, there is a special document of the Pope to confirm the fact. On St. Valentine’s Day and on the Meeting of the Lord the relics are carried around the temple and laid out to people for the whole week. Naturally, lovers from all over Ukraine gather here to garner spiritual support before entering into marriage. Locals assure that newlyweds, who visited the place before the wedding, will never separate. I personally didn’t check because I take the word for it. For two thousand years Ancient City of Tauric Chersonese had been major political, economic and cultural centre of the northern Black Sea region. 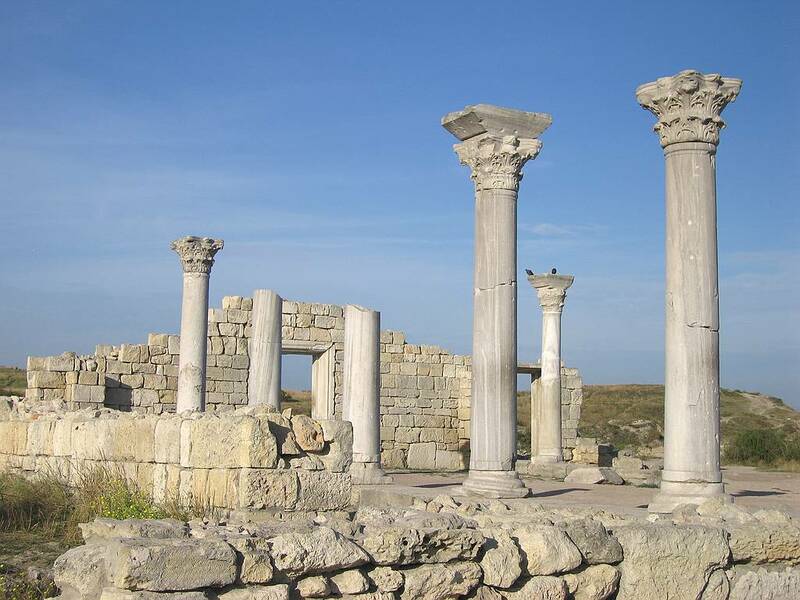 The polis was founded by ancient Greeks on south-western coast of the Crimea. Ownsilvercoinswerestrickenthere. All in all, citizens had a really eventful life: for instance, they actively militated with the Scythians. As time went by, the city started losing its power and soon perished from the surface of the globe. Only in 1827 at the direction of Aleksey Greig, Black Sea fleet and harbors chief commander, first excavations for scientific purposes were carried out. And last year UNESCO saw the true value of the interesting sight. 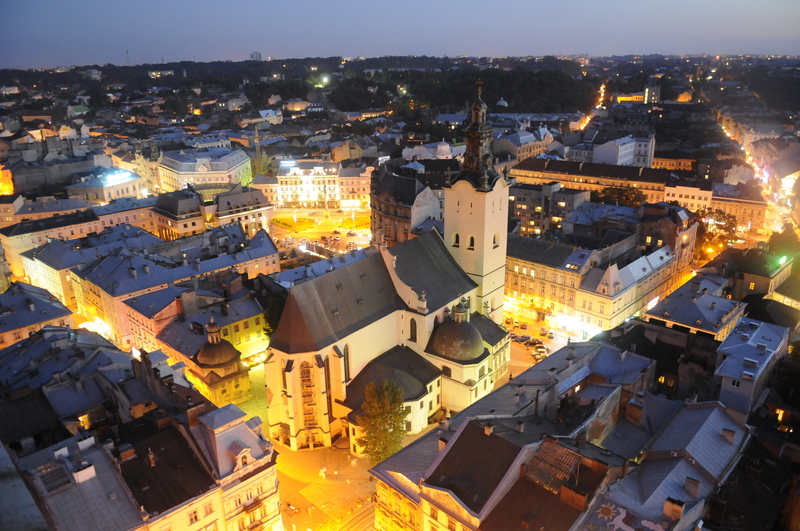 Lviv – the Ensemble of the Historic CentreorThe Ancient City – also belongs to world heritage. Admittedly, there is no wonder about that for there are a lot of places to go to and to admire in the city of Lion. Western tourists feel like home here, but still a little better. They also call the place “Eastern Vienna”. Even Ukrainians, especially inhabitants of western regions, say: “when in Lvov, it feels like you are not in our country, so much it reminds overseas”. So, if you don’t have a foreign passport but do want to see the old Europe – don’t hesitate, go to Lvov offhand.